What wonderful designs you have. Web Site is easy to navigate, enven for a newbie like me. 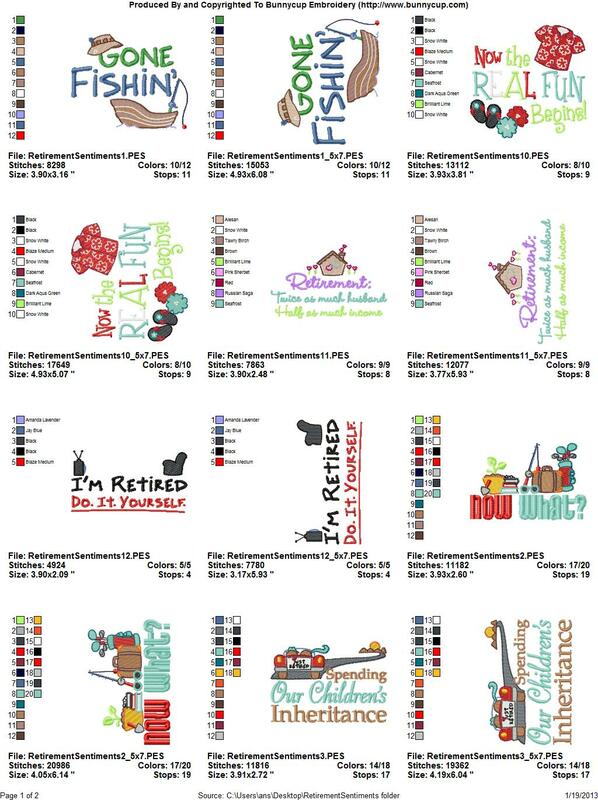 I look forward to downloading many more designs in the future! Lia sent in this picture of a fabulous bag she made using a design from Retirement Sentiments. 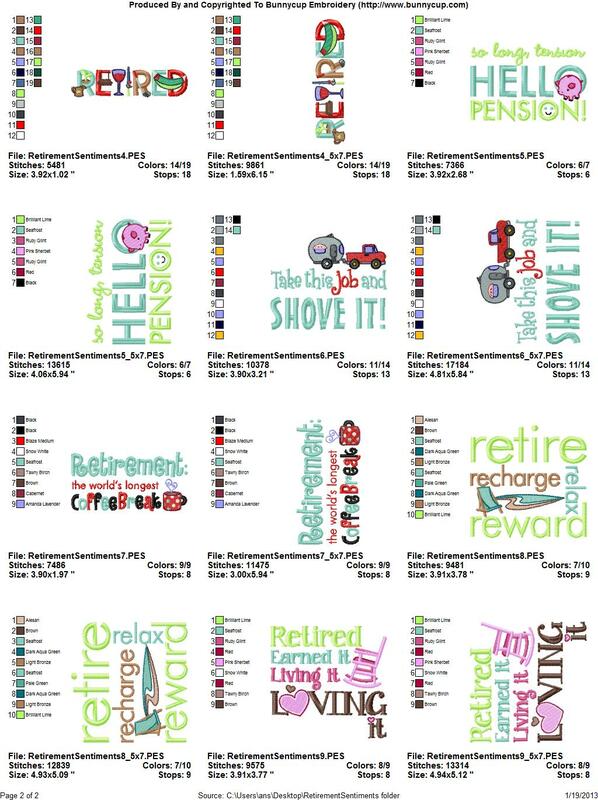 Jeannine sent in these wonderful tea towels she made using designs from Retirement Sentiments.